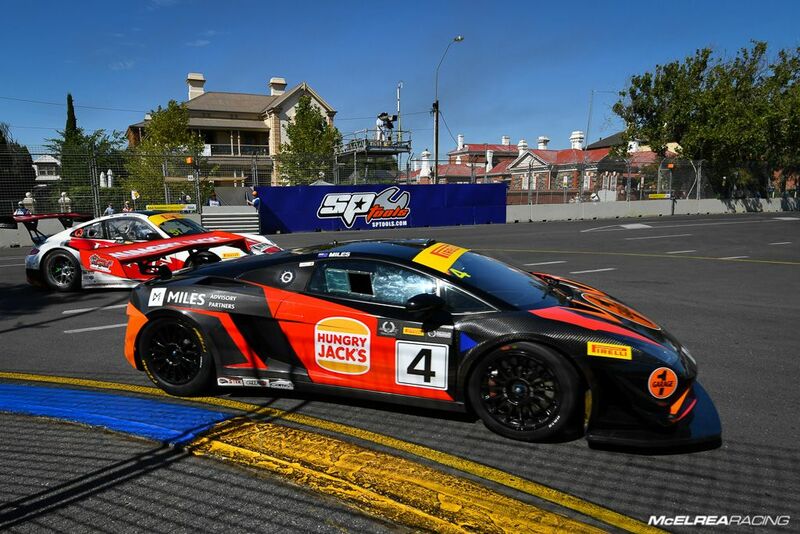 After a great start to the year both winning the 'Pro-Am' category and coming second outright at the Bathurst 12 Hour, the MR crew had been busy preparing for this year's visit to the unforgiving streets of Adelaide. The Clipsal 500 is always a fantastic start to our racing season providing a significant challenge for our drivers, cars and crew. 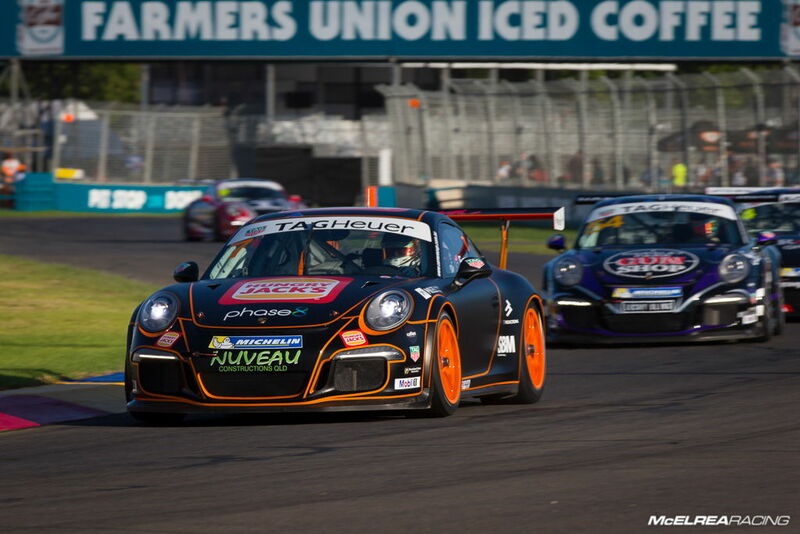 We are very proud to welcome back 2016 MR drivers Tony Walls, James Abela, Simon Ellingham, Jaxon Evans and Tim Miles into our Carrera and Australian GT programs. While some of these drivers have stepped into new categories for 2017, it is very rewarding to be running all of these drivers for at least three years, and in the case of Tony Walls and Tim Miles, this is their fifth year as MR drivers. 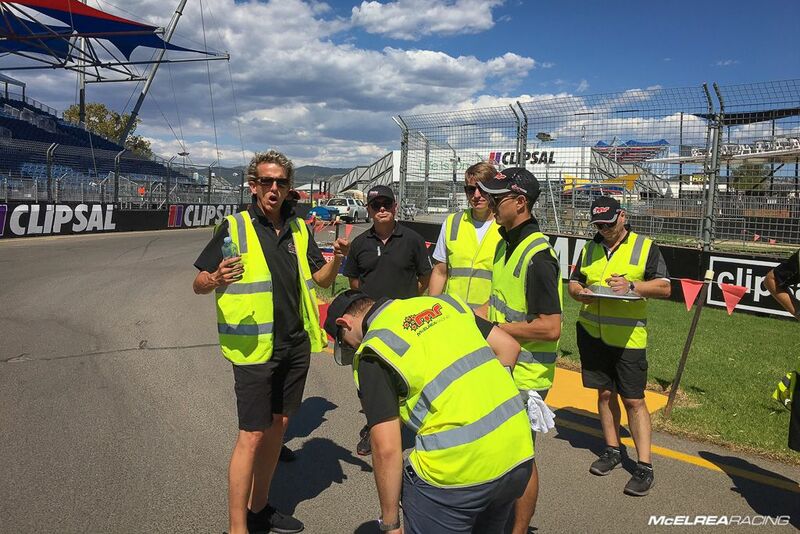 Prior to every event our drivers do a track walk to get an understanding of the circuit and have exclusive access advice from our racing coach Warren Luff. 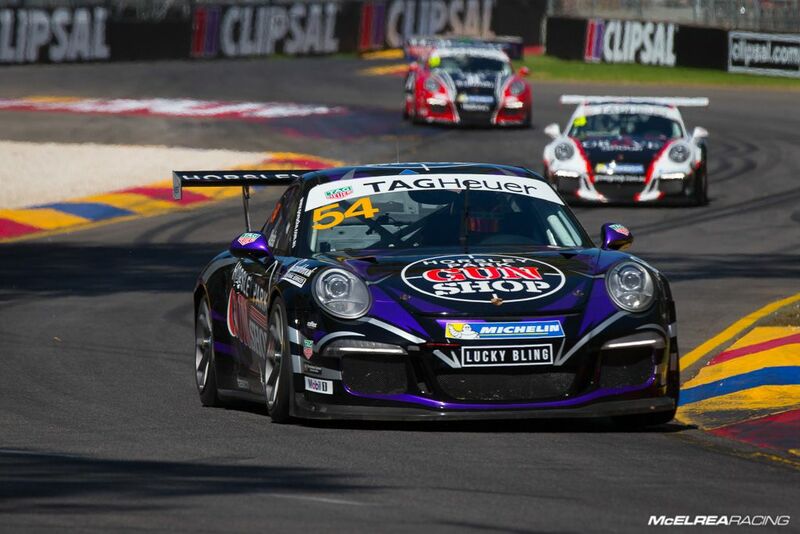 After two years of GT3 Cup Challenge with MR, Jaxon was very keen to get to Clipsal to start his Carrera Cup career. 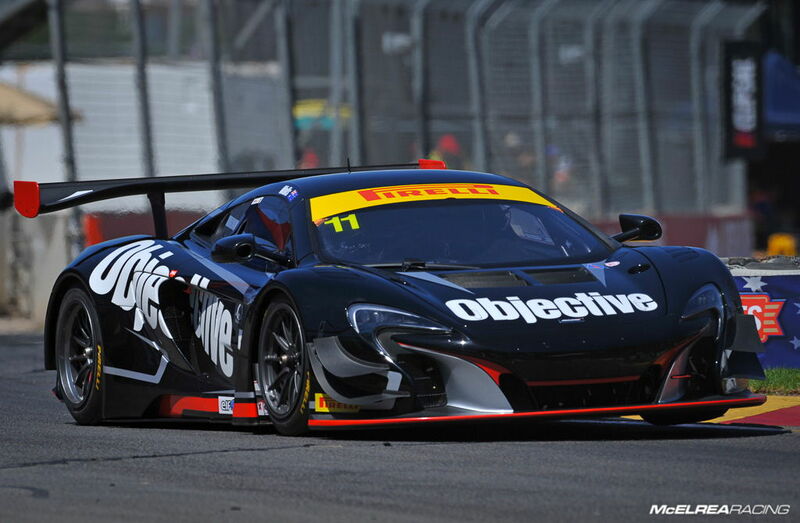 He exceeded all of our expectations by qualifying 3rd ahead of former V8 Supercar pros Alex Davison and David Wall. 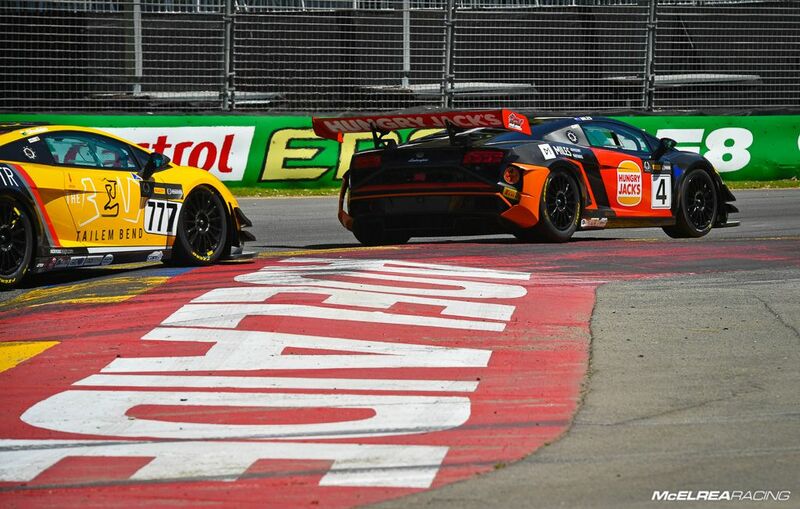 In race 1 he got a good start but Wall was able to sneak ahead into the first chicane. He ran an impressive 4th until McBride hit the wall elevating him to an incredible 3rd place on debut. In race two Jaxon was sitting in 4th behind Alex Davison but locked his rear tyres under heavy braking into turn 9 and tapped Alex into a spin. Jaxon got a drive through penalty but recovered to finish 6th with fastest lap of the race. In race three Jaxon had a good start and raced hard with McBride & O’Keeffe with plenty of speed but decided to hold station and get quality racing miles, rather than take a risk to overtake. He finished a very solid 5th, putting him 3rd outright for the weekend and on the podium in his first ever Carrera Cup round! 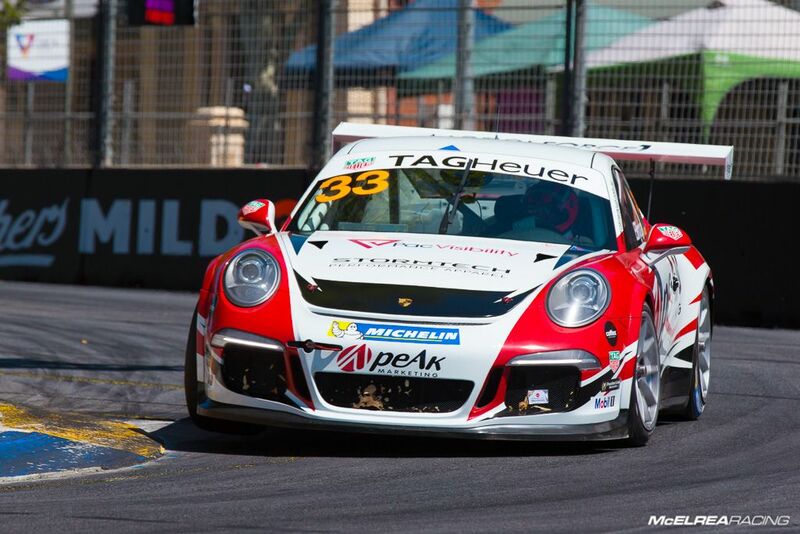 Simon did a good job on Thursday acclimatising himself to the track in his first visit in the Carrera Cup Porsche. Unfortunately he was hit hard by a stomach virus which affected him badly enough to miss-out on qualifying and race 1 on Friday. 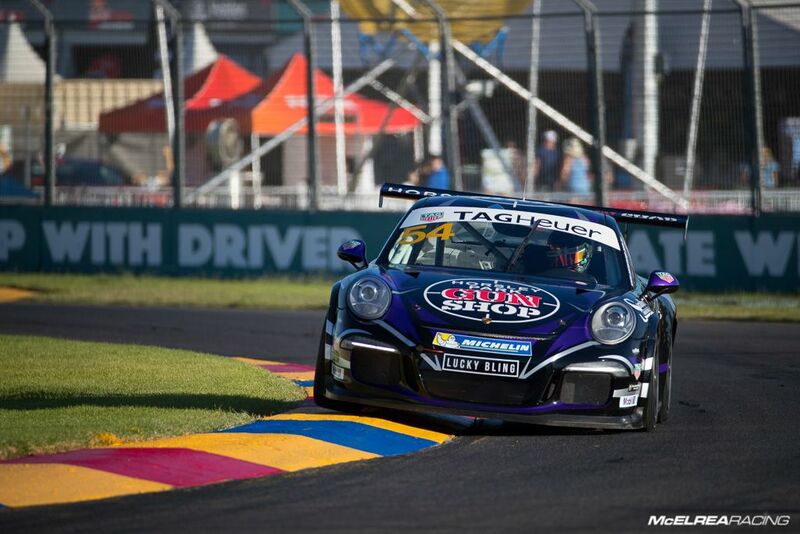 Simon effectively started his weekend in race 2 after missing qualifying and race 1. 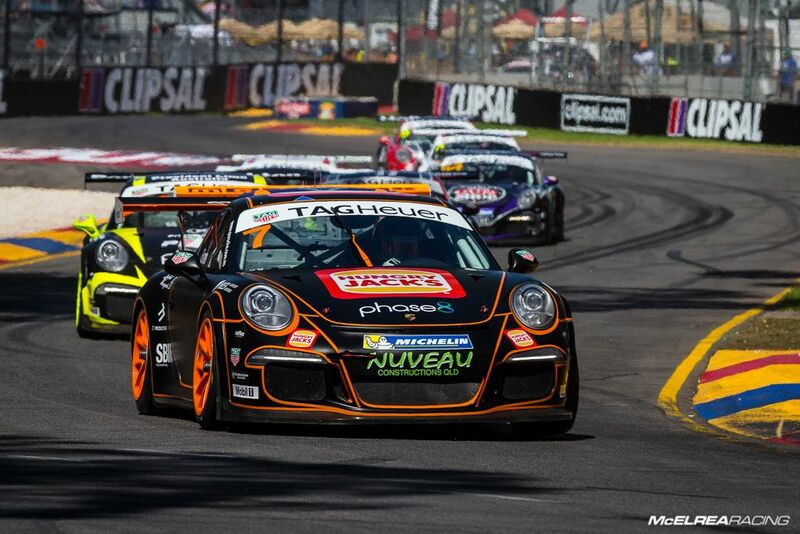 He had a spin at turn 5 which put him to the back of the pack before he drove back through to 10th in Pro class. 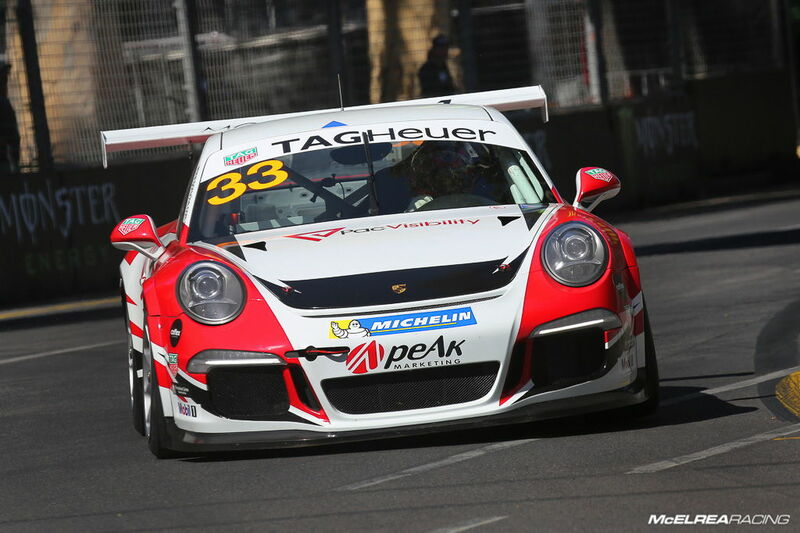 In race 3 Simon learned plenty more about racing Carrera cup and stalked the two cars ahead of him doing a great job which lead to his fastest lap of the weekend. We are looking forward to Simon making strong progress throughout the 2017 season which will continue at the AGP in three weeks. 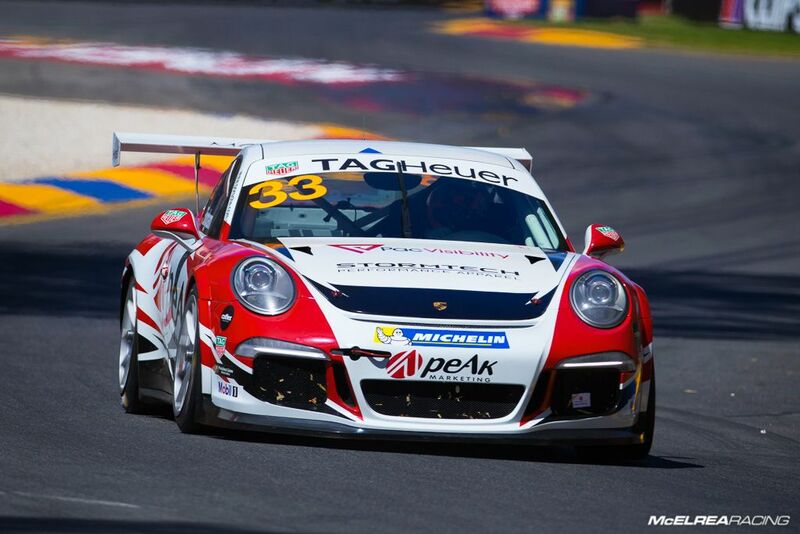 James came into the new Carrera cup season with renewed confidence after a strong pre-season program. He qualified a slightly disappointed 10th in Pro class. In race 1 he got a decent start and as predicted had more pace than last year, working his way through to 7th. After post-race penalties were applied to drivers breaking the kerb hopping rules he was elevated two spots to 5th. In race 2 he got a great start from 5th and had a great drive under pressure, holding former race winner Nick McBride at bay for many laps. He kept his mettle and make no mistakes being rewarded with a personal best of 4th in Pro class. James started race 3 from 4th and did a great job, but more understeer than he likes and a couple of very minor mistakes lead to an 8th place finish. 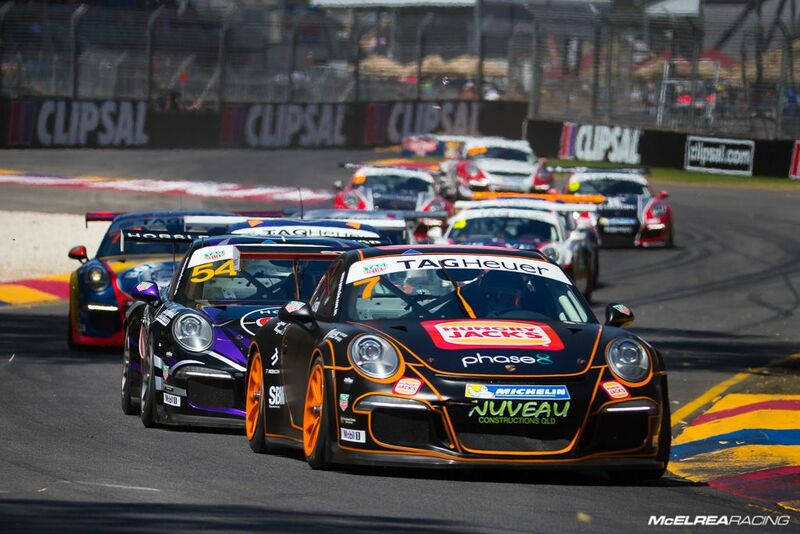 Despite the race 3 result this was certainly James's best Carrera cup weekend since his debut this time last season. Tony started the weekend well by qualifying 17th outright and 4th in the Gold Drivers Cup for amateur (semi-professional) race drivers. He claims to have ‘pulled his finger out’ in race 1 and drove fast and consistently to finish 5th outright and 3rd in the Gold Drivers Cup. In Saturday's race 2 Tony started 5th, and ran in the top 8 until everyone cycled through their pit stops. Once the stops were over he was running 5th and looking safe for another top 5 finish, but ended up the escape road after a passing attempt at turn 9 didn’t come off. He was a tad annoyed with himself. In race 3 Wallsy started 14th, but had a cracker first lap making 6 places then raced well and kept a strong consistent pace to 7th at the pit stop. After the stops he was running third outright which he held to the finish with a healthy lead over 4th place. 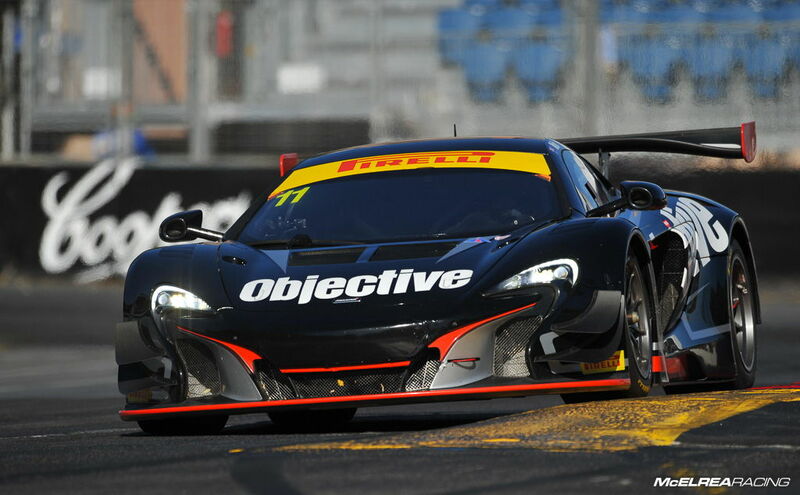 After such a strong round 1, Wallsy sits fifth in the Australian GT championship. 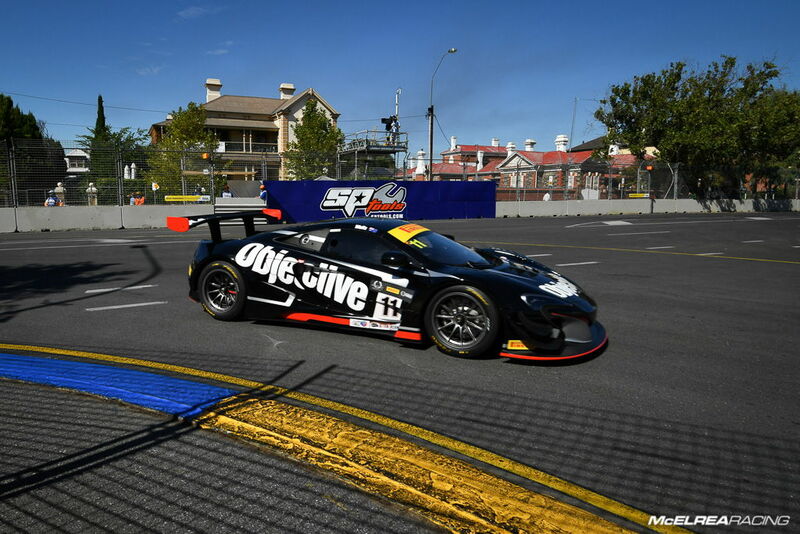 As this was Tim's first visit to the notorious Adelaide street circuit he took a sensible approach to learning the track and qualified 21st outright and 8th in Gold Drivers Cup for amateur (semi-professional) race drivers. In race 1 Tim went from 21st to 15th in three laps then made contact with an Audi forcing him to the pits for repairs and costing him two laps. He was certainly in line for a top 10 result, so this was frustrating for him. In race 2, Tim started from 23rd on the grid and despite not being in the best of health with a stomach virus, put in another ripper first three laps, to get up to 13th position. After the pit stop cycles he ran as high as 3rd, and finally settling for a very well-deserved 5th from almost the rear of the grid. After finishing 5th the day before and starting 5th we were confident of another great result on Sunday. Unfortunately Tim compensated for some understeer which didn't happen and clipped the inside wall at the apex of the notorious turn 8 and had a heavy impact with the outside wall. Fortunately, Tim was sore but not broken. As soon as we unload back at the workshop, we will assess the likelihood of repairing the car for round 2 at the AGP in 2 weeks. Wow, what a weekend, as expected, there were highs which exceeded our expectations, and (less expected) there was a low that also exceeded our expectation. 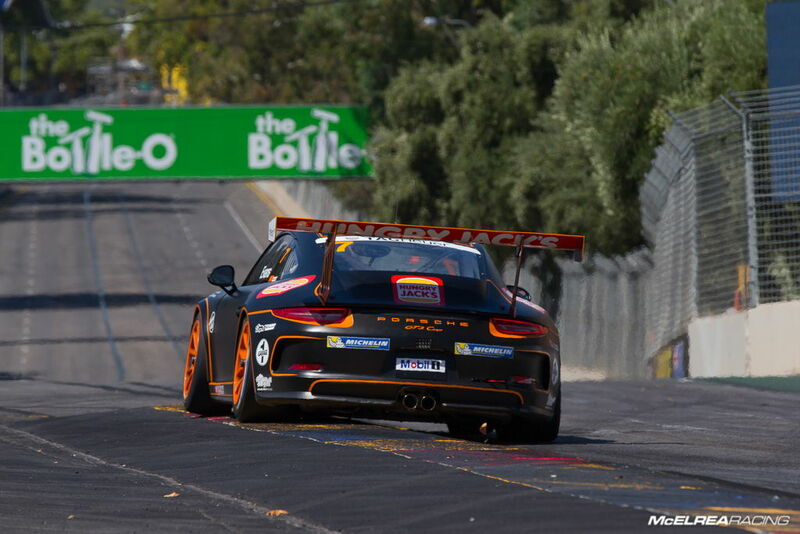 Jaxon securing a round podium on debut as a rookie was very impressive, as was James’s 4th and 5th places, both PB's in Carrera Cup. 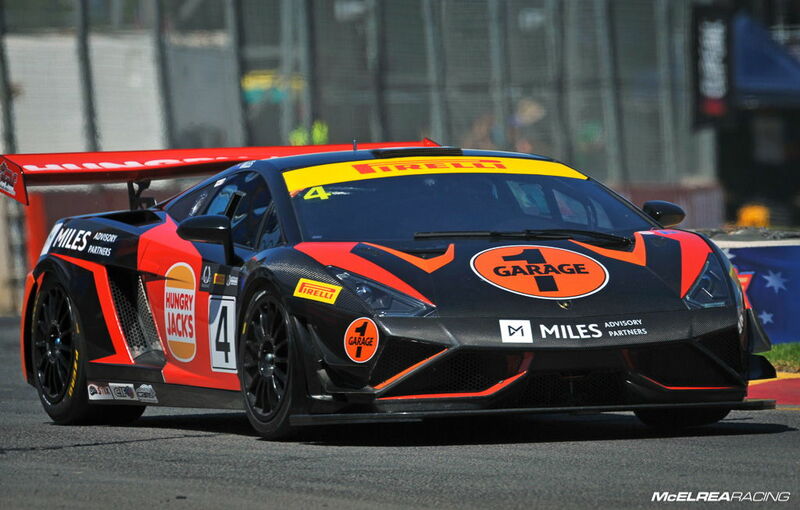 Tim's 5th in AGT race 2 and Wallsy's 5th in race 1 and 3rd in race 2 were notable also highlights. 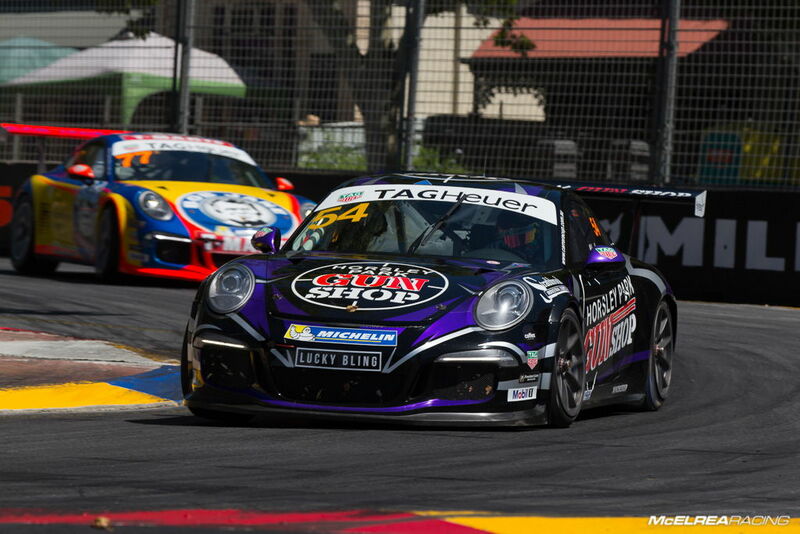 Many thanks to Alastair Wootten of Formula Fit in NZ for tuning-up and preparing our Carrera Cup young guns. Although there's some work to do, we can't wait to get down to Melbourne in a couple of weeks. See you there! Thanks to Darin Mandy from Digital Realism and Edge Photographics for the great shots.